-This is my old pony's show name(her stable name is pippin). She really is a beautiful baby. My 2 younger brothers share her now I have Cheeky Charlie. -This is my showjumping horse's name. Charlie is his stable name and Cheeky Charlie is his show name. Plus my horse is really cheeky. 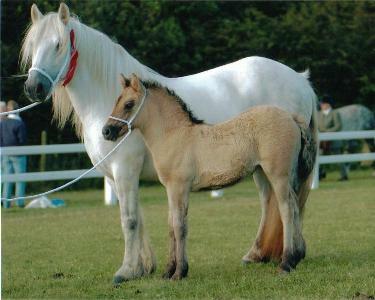 The horse in the picture is Cheeky Charlie as a pony and Baby Beauty as a foal.